Looking for the perfect healthy appetizer? Well look no further. I made this tasty treat for the 4th of July and it was off the hook good. I knew we would be eating hot dogs and hamburgers which are pretty heavy so I wanted to make a light and healthy appetizer. This is packed full of flavor and it is all veggies. 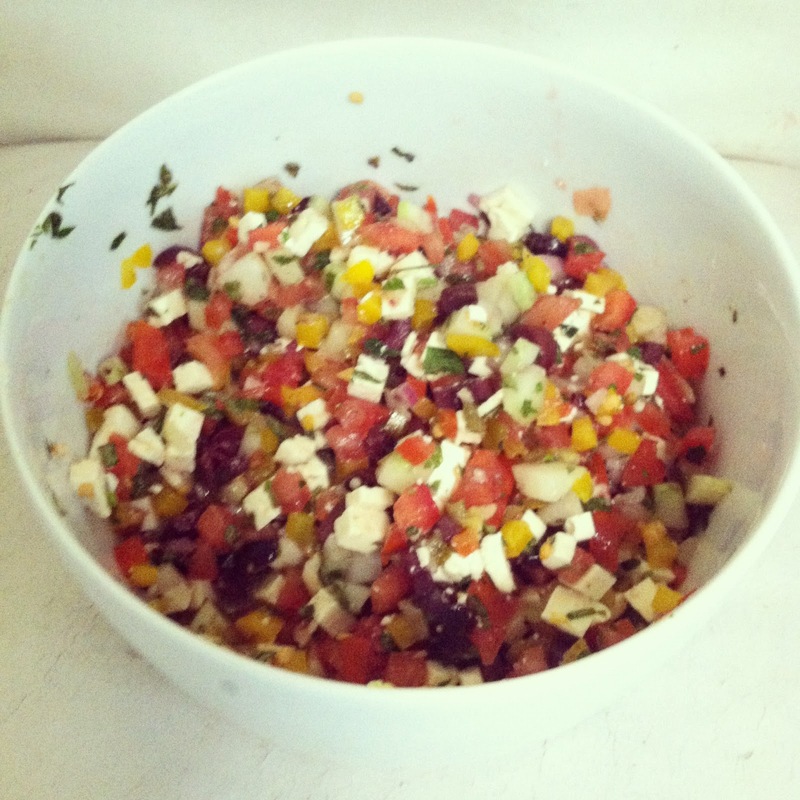 If you are a Greek Salad lover like me then this will be your new favorite snack. This would also be amazing as bruschetta served on fresh baguettes! Serve with Pita Chips and Bon Appetit. Combine all Ingredients in a bowl and mix gently. 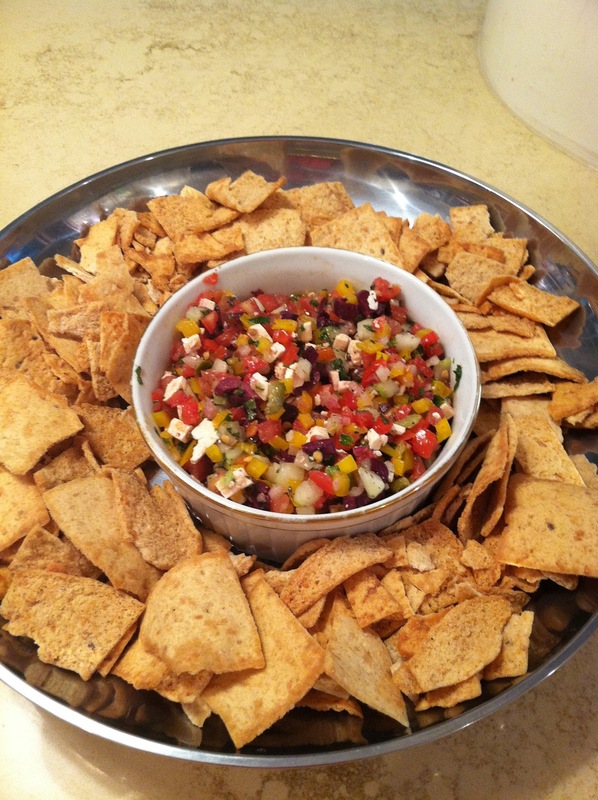 Serve immediately with pita chips. OMG. Would it be wrong if I ate all of this in one sitting? If it is wrong I do not want to be right. I could totally eat the whole bowl. Absolutely! I am going to make this and put it in a wrap or on naan bread and put it in my panini press ...YUM! I made a similar dish for Father's Day and it was devoured by everyone! This stuff is the best. this looks incredible!!! i will definitely be making this! Whoa. This made me SO hungry and it's only 1030am! I always love your recipes! Thanks for sharing! I love all things greek food, and this dip looks fresh, healthy and delish! Yum! So easy--healthy and has to be tasty! the salsa looks so fresh and tasty :) i must try it. Denim Shirts: Hot or Not?